Melissa earned a BA from Brandeis University and MA from Brown University, and has studied in Israel. 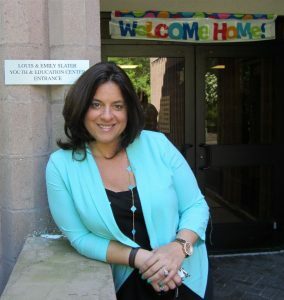 Melissa has served as the Director of Education and Lifelong Learning of Morristown Jewish Center Beit Yisrael, Morristown NJ for the past 13 years. She previously served Reform, Reconstructionist and Conservative synagogues in Massachusetts, Missouri and New Jersey. She has created curriculum for CAJE in St. Louis and presented workshops on Family Education in Connecticut, Massachusetts, New Jersey and Missouri. Melissa has been honored with both regional and national Solomon Schechter Awards for her many innovative programs such as the Jewseum, Lions of Jerusalem Day and Lech Lecha. Melissa was the Recipient of 2007-2008 United Synagogue Conservative Judaism NJ Region Norman H. Winter Professional Excellence Award.